A separate news release will be issued at a later date announcing king salmon regulations for locations where Alaska hatchery-produced king salmon are expected to return. The 2018 preseason forecast for Unuk River king salmon is 860 fish. This forecast indicates the escapement goal (1,800 - 3,800) will not be met. At the Alaska Board of Fisheries January 2018 meeting in Sitka, the board adopted the Unuk River King Salmon Stock Status and Action Plan which specifies how the department will manage fisheries to reduce harvest of the Unuk River stock until this stock recovers. In addition to the Unuk River, forecasts for other Southeast Alaska wild king salmon stocks are below goal as the majority of the Southeast Alaska wild king salmon stocks continue to experience poor productivity. These actions are being taken as part of a regionwide effort to reduce harvest of Southeast Alaska wild king salmon and increase spawning escapement for future production. Management actions are being taken across all Southeast Alaska fisheries, including sport, commercial, personal use, and subsistence, to reduce harvest of wild king salmon. Anglers fishing north of the Ketchikan area should review the news releases announcing sport fishery restrictions for the Petersburg/Wrangell, Juneau, and Haines/Skagway area. 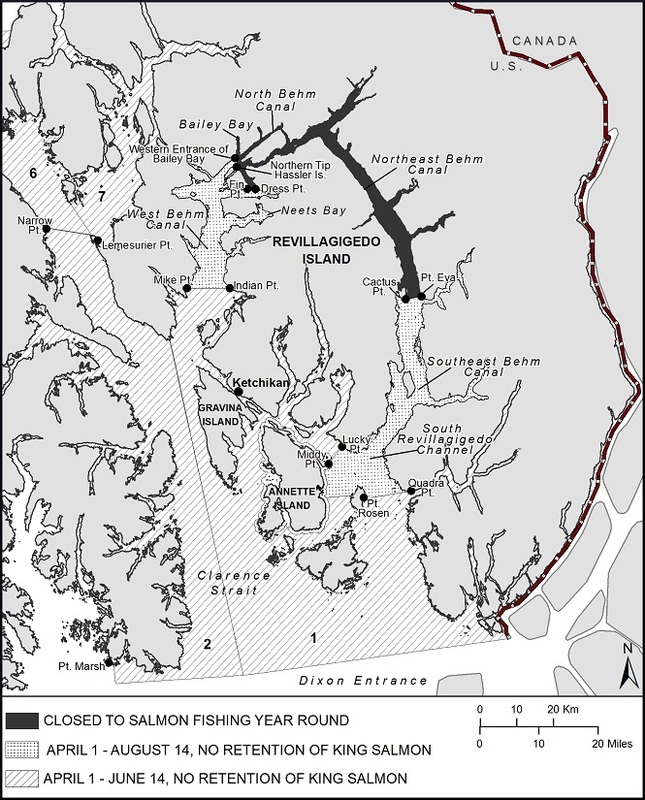 Regional king salmon resident and nonresident regulations scheduled to be released in April will not supersede these king salmon regulations. For further information concerning this announcement please contact Ketchikan Area Management Biologist, Kelly Reppert at (907) 225-2859.